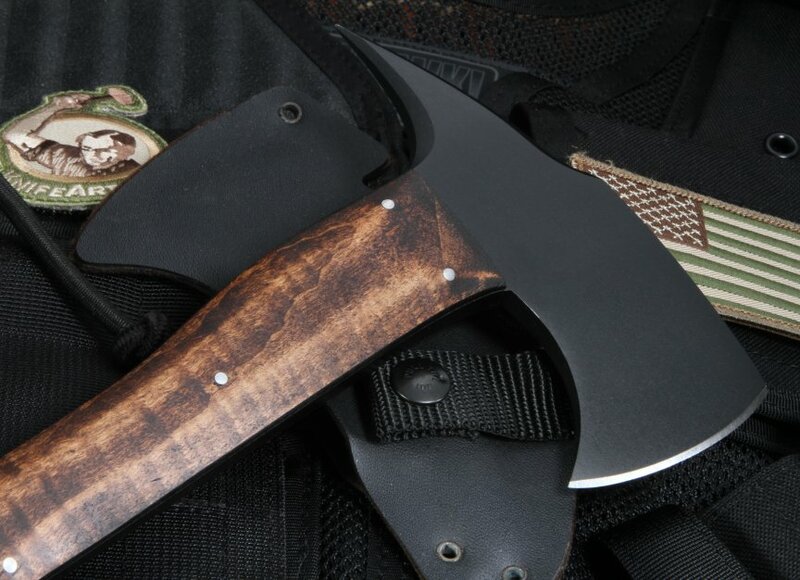 The tomahawk blade on the Combat Axe is made from 80CRV2 carbon steel with flat grinds and a black Caswell finish, while the handle is made from premium maple. The blade size is 2 1/2" , while the total size of the tomahawk is 6", and the total length of the entire tool is 13 3/4". It is a breaching/combat axe similar to the ones used by the military, and it weighs only 1.5 pounds. 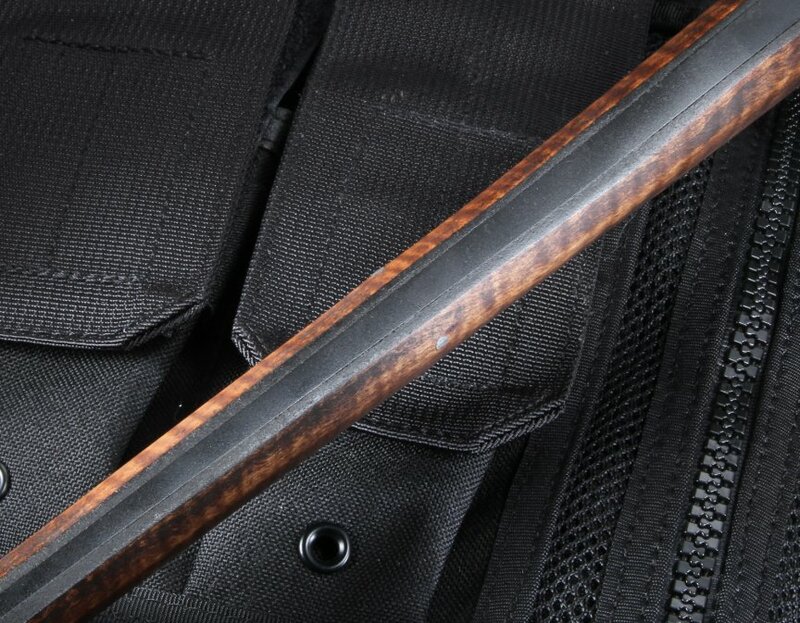 It offers "a full length, integral, tapered, and skeletonized tang that lessons overall weight and provides a no fail handle. "(Daniel Winkler) This combat axe also packs an effective blow due to the forward weight distribution. First invented by the Native Americans, the combat axe, also known as a tomahawk, has been a multi-purpose tool and hand-to-hand combat, or throwing, weapon for centuries. 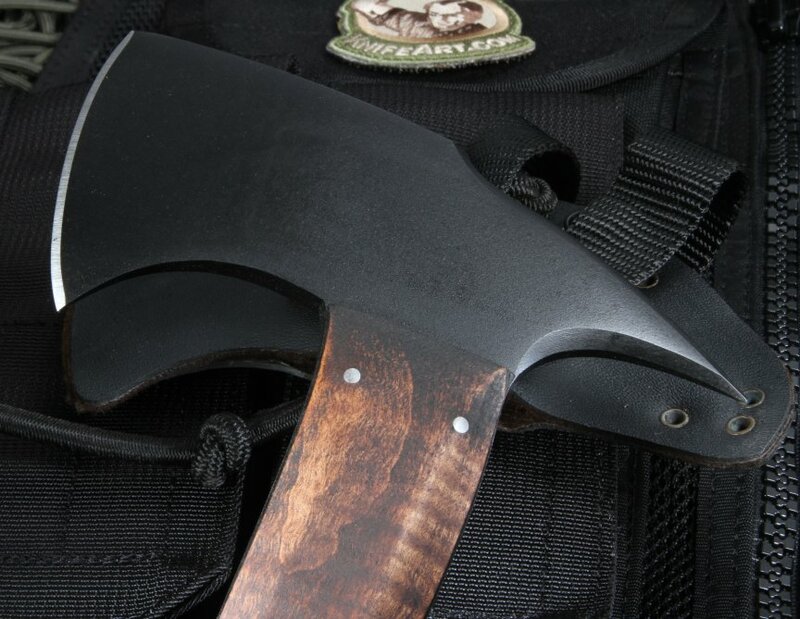 The combat axe was approved as a tactical weapon for U.S. military forces during the Vietnam War, but is still in use today by troops in Afghanistan and Iraq. 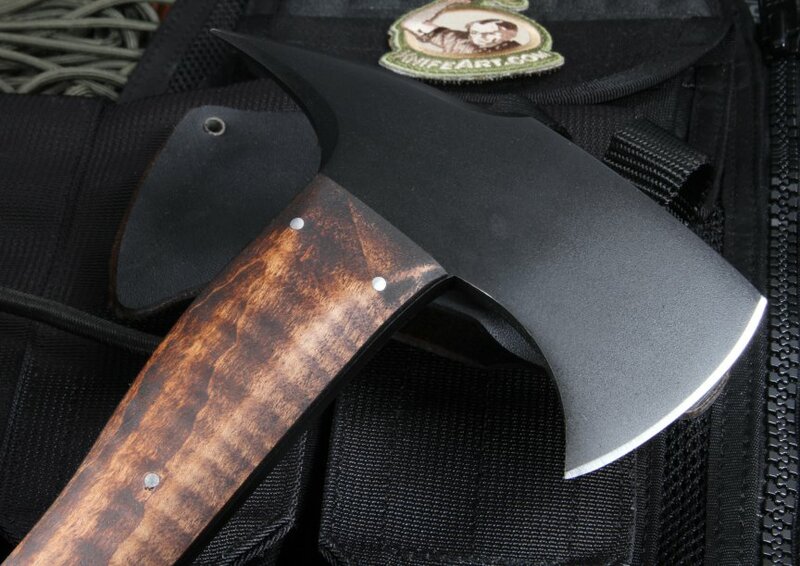 In the early 1990s, a Navy SEAL asked Daniel Winkler, owner of Winkler Knives, to forge him a combat/breaching axe. The Navy Seal carried this axe with him during the Gulf War and again when he reenlisted after 9/11 with Army Special Operations. 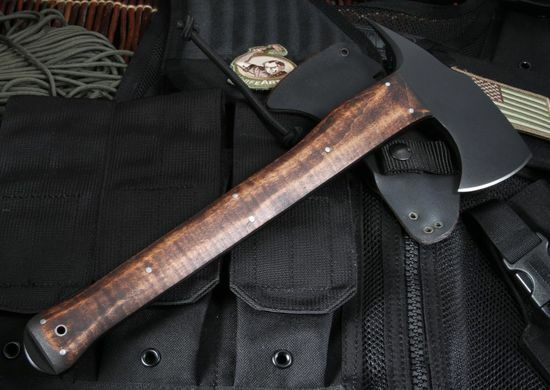 The Winkler Combat Axe soon gained popularity among his comrades and eventually a Navy SEAL team asked Daniel Winkler to outfit their squadron with his combat axes. 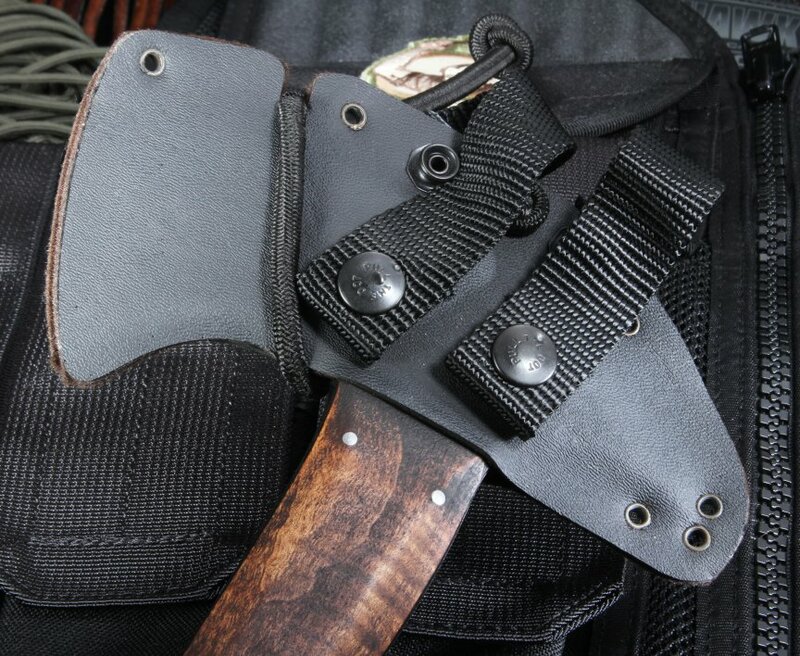 Winkler Knives Combat Axes are for more than just hand-to-hand combat. 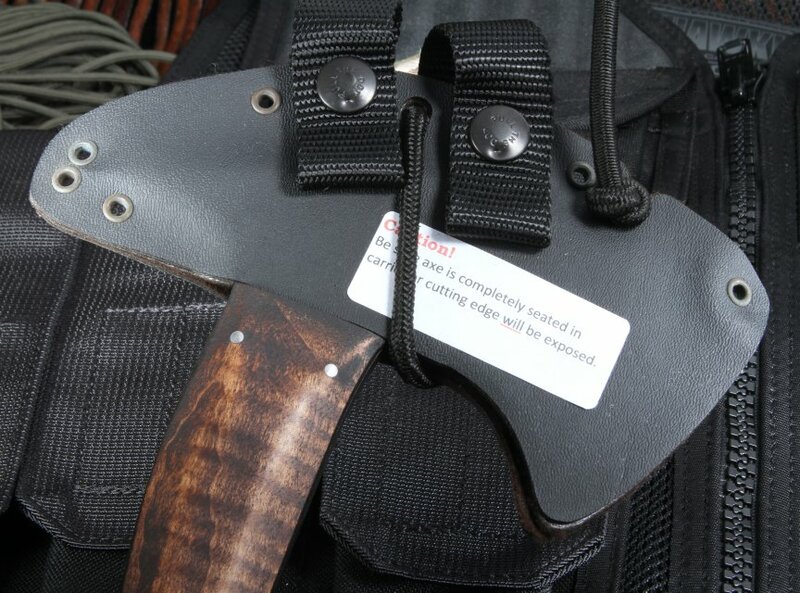 They are an excellent multi-purpose and survival tool as well as throwing weapon for tomahawk throwing competitions.